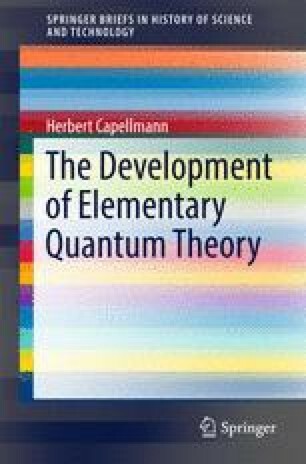 This chapter starts with a brief account of the path leading to Planck’s introduction of the quantum of action. Extensive discussions of Einstein’s contributions between 1905 and 1924 follow; they demonstrate the mutual dependence of quantization of radiation and matter. The introduction of the photon in 1905 is extended to include the application of quantization to the properties of matter in 1907. Of decisive importance is Einstein’s Quantum Theory of radiation of 1917, which will serve as starting base for the future matrix mechanics. Further milestones are Einstein’s application of Bose statistics to particles in 1924, the recognition of quantum theoretical indistinguishability , and the predictions of Bose-Einstein condensation and interference-like phenomena for particles with finite mass.